Kelly Williams, Founder and Executive Director of Love Without Borders, was born in Newark, New Jersey. On January 26, 1994, her life was transformed when she entered Gods Kingdom as a new creation in Christ Jesus. In the early years of her saved life the Lord transformed an individual who was hurting due to the abuse she faced as a child into the Victorious Woman of God she is today. It was from her seasons of pain and victory that the Lord instilled an unwavering passion in Kelly to reach out and help those in the world that are hurting whether spiritually, physically or emotionally due to the circumstances in life they find themselves faced with daily. She is extremely passionate about helping those who society has given up on or chose to ignore by spreading Gods transforming love. 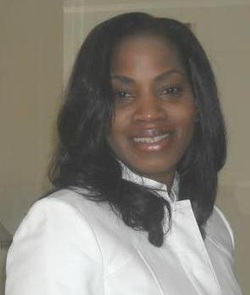 Kelly’s Ministry of Giving was birthed 20 years ago from her passion to serve others and in 1996 while a member of Refuge Church of Christ in Plainfield, New Jersey she accepted the position of Outreach Project Manager for Grace Emmanuel Church in Elizabeth, New Jersey under the tutelag of the late Bishop Michael Grayer. Kelly led groups into the homeless and lower income areas of Elizabeth to feed and meet the needs of the community that were being ignored by society. It was through this ministry she witnessed dozens of people give their lives to Christ and started her journey in servitude. Kelly has served as Vice President of the Church of Our Lord Jesus Christ Armor Bearers Young Peoples Union on both the local and diocese levels for three years while at the same time worked diligently with the Refuge Church of Christ Women’s Department on community service projects in the Plainfield area of feeding the homeless, holding coats drives and distributing gifts during Christmas. While working with the women’s department she served on the Women’s Retreat Committee and was an integral part in the inception of Just4Women, a women’s support group who serves the needs of hurting women in the community. While serving in Just4Woman she spearheaded several outreach projects including one where a single mother was surprised with a total home makeover. Kelly has completed 40 hours of intense training for Domestic Violence and has certification in Lay Christian Counseling. She currently works in Long Term Care as a Quality Assurance Director and holds a Certificate as an Assisted Living Administrator. This passion of caring for the elderly, Kelly accounts to being raised by her Grandmother and Great Aunt. Kelly is committed and dedicated to improving communities around her. She currently volunteers at varies shelters and women's facilities throughout New Jersey. Kelly serves diligently and looks for whatever, wherever and whenever her hands can assist in helping in the betterment of someone’s life. Her spreading of God’s love has no boundaries. Kelly is gifted in the area of playwriting and wrote and directed her very own life testimony entitled “Little Girl Get Up” and “Who Are You Really”. The Lord anointed these plays as instruments to bring about healing in the lives of hurting women. Kelly firmly believes that Iron sharpens Iron and this has become her testimony to others. Her family rises up and calls her blessed and her greatest support is her husband Bruce L Williams. His love for her is immeasurable and has driven her to excel beyond her dreams. Kelly declares that her husband met a broken girl and loved her to a whole beautiful woman.